Postcrossing fabric update! It's been a little while, hasn't it? but this week I got two lovely pieces. From NL-4240219, a length of pink ribbon. 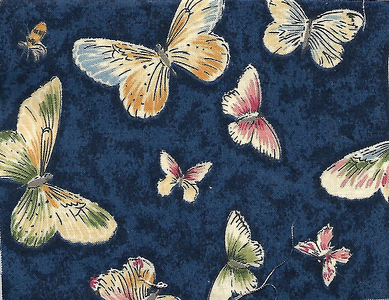 And from FI-3366238, a navy blue piece with butterflies. This entry was originally posted at https://laridian.dreamwidth.org/2950417.html. Please comment there using OpenID. I was worried when you had not posted in a while. Good to hear from you again. I'm mostly on Pillowfort these days. They're down atm due to a security fix but overall I'm super, super happy with it. It's a lot like LJ but with some cool features, including the ability to block people from seeing your stuff/you seeing their stuff.